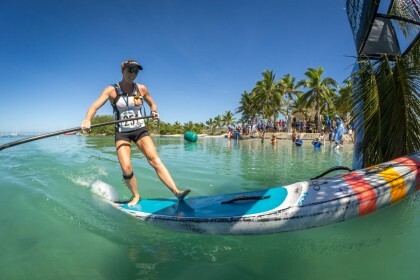 The 2016 Fiji ISA World SUP and Paddleboard Championship is set to take place from November 12-20 in the pristine waters of Fiji, gathering the best SUP and Paddleboard athletes in the world. The 2016 Fiji ISA World SUP and Paddleboard Championship will take place across various stunning locations in Fiji. 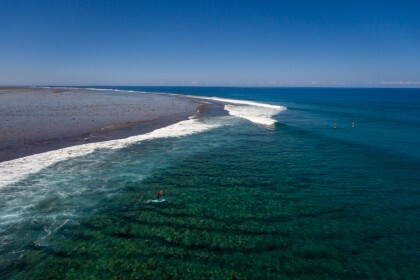 The world renowned wave of Cloudbreak will host the SUP Surfing and Technical Races along with the start of the Distances Races, which will traverse 18 kilometers past the islands of Tavarua and Namotu, culminating in an epic finish at Musket Cove. The World Championship will be streamed live on www.isaworlds.com from November 12-20. Visit the official event website for results, photos, videos and news pertaining to the competition. 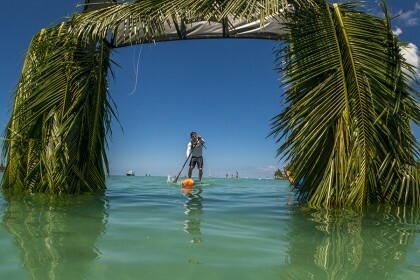 The 2016 Fiji ISA World SUP and Paddleboard Championship is an Olympic-style team competition that combines the disciplines of SUP Surfing, SUP Racing and Paddleboard Racing. The athletes compete for individual Gold Medals and the Club Waikiki-Peru ISA World Team Champion Trophy awarded to the team that wins the Gold Medal. Tourism Fiji has opened the doors of their beautiful country and provided strong support to hold the 2016 edition of the event and will put the competition on in collaboration with the ISA. Follow Tourism Fiji on social media to discover the beauty that their islands have to offer. The ISA has been organizing the World SUP and Paddleboard Championship since 2012 with the first edition held in Miraflores, Peru. The event was held in Peru again in 2013 followed by Nicaragua in 2014 and Mexico in 2015. 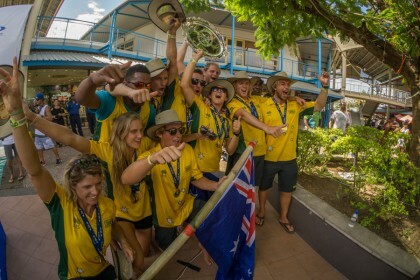 At the 2015 edition, Team USA took the Gold Medal for the first time in the event’s history, breaking Team Australia’s three-year streak of winning Gold. The ISA World SUP and Paddleboard Championship has seen explosive growth since the inaugural event in 2012. The World Championship’s participation has nearly tripled heading into its fifth edition. The ISA presented both Surfing and SUP to the Tokyo 2020 Organizing Committee for inclusion in the Olympic Sports Program. Tokyo 2020 only elected Surfing to be included in the Games and not SUP, however achievements such as inclusion in the 2019 Pan American Games and 2019 World Beach Games have added momentum to the ISA’s push for inclusion in the 2024 Olympic Games. The ISA will be posting live updates, photos and videos from the competition on social media. Follow along on Facebook, Instagram, Twitter and Snapchat and don’t forget use the official hashtags #ISAworlds and #Fiji. The schedule of events is tentative and subject to change according to conditions. Recognized by the IOC as the world governing body for Surfing and SUP, the ISA’s mission is to create a better world through development of these sports. This is accomplished through annual World Championships for surfers representing their countries, membership development, educational programs, scholarship distribution, preparing for Surfing’s participation in the Olympic Games and promotion of the inclusion of SUP in future editions of the Games. The 2017 ISA World SUP and Paddleboard Championship will take place in Denmark in September of 2017. It will be a dual location event, with the racing disciplines taking place in the country’s capital of Copenhagen and the surfing taking place at Klitmøller (also known as Cold Hawaii) on the country’s west coast.